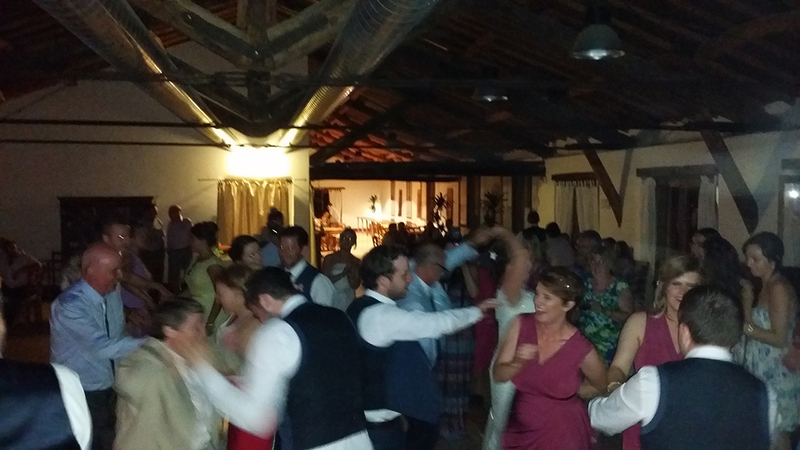 An Image of the dancing party inside the main restaurant of the borgo. The guests had the aperitifs outdoors near the swimming pool and then they had the meal and the dancing afterwards inside the restaurant. Guty & Simone wedding music in Rome Borgo di Tragliata and all over Italy.